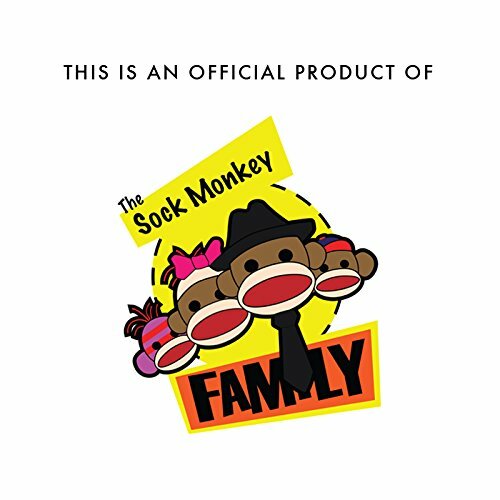 Go Bananas with the Sock Monkey Family! 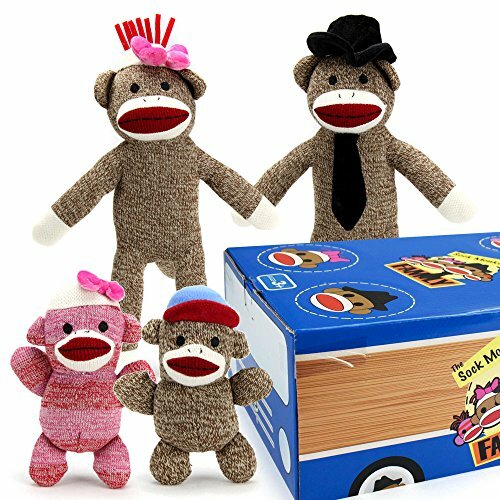 The Sock Monkey family is in town again and they can't wait to meet you! There's Mr. Coconuts, his beloved wife Cupcake, and their two children: Daisy May and Joey. 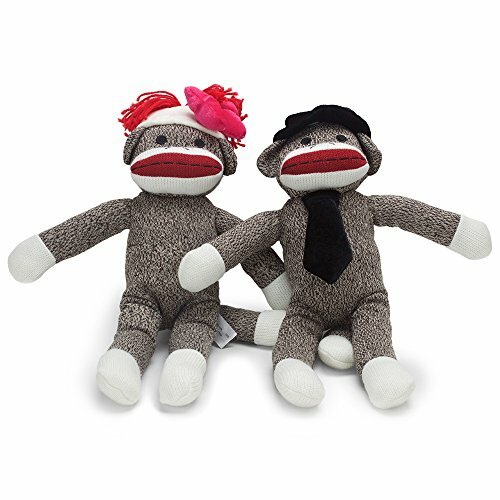 Mr. Coconuts spends his days working at the local banana factory while Cupcake enjoys crocheting banana blankets for baby sock monkeys at the zoo. 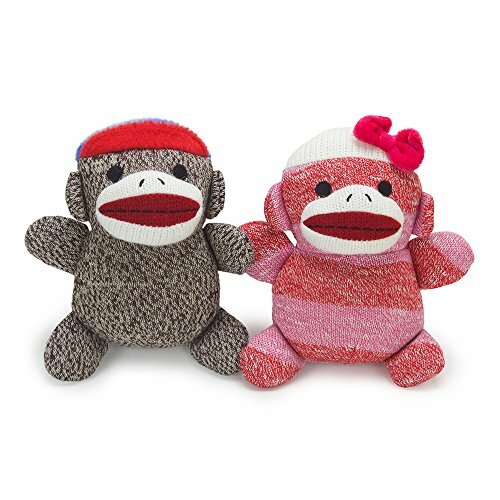 Daisy May and Joey both attend Banana Elementary School. Take them with you on your next adventure! Or don't. They have things to do too. 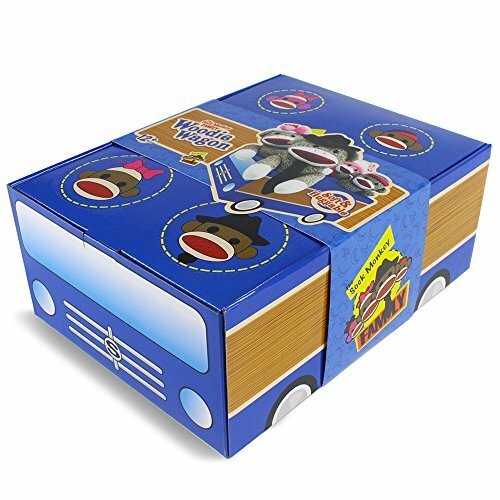 The Family arrives in their cardboard woody wagon, featuring four cutout windows for taking in the best views, as well as four cardboard tires that pop out for a smooth ride. 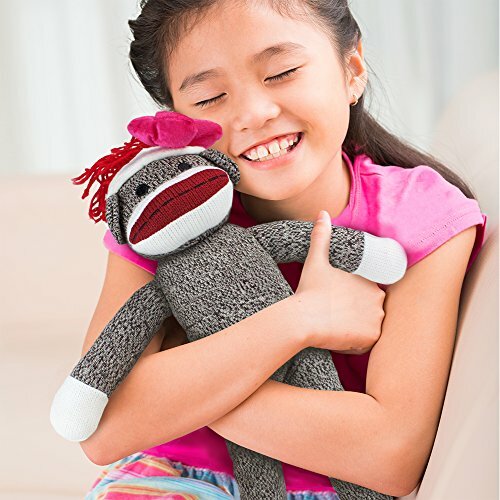 These cute sock monkeys are clad in their finest apparel and are made from cuddly soft polyester fiber.